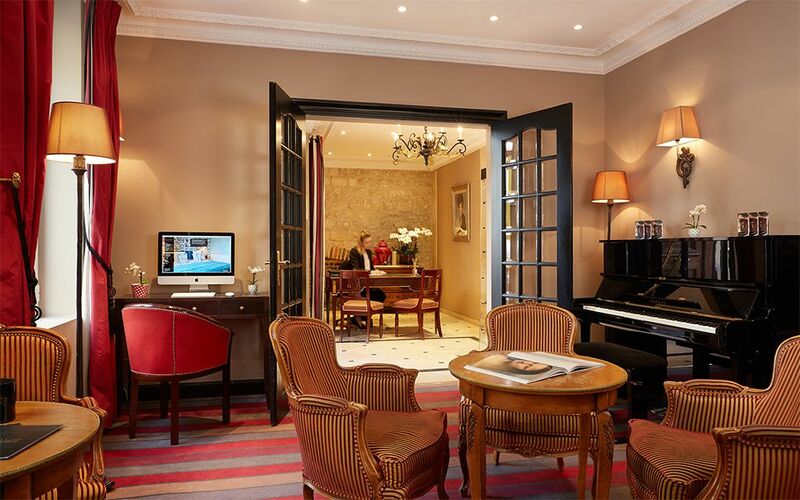 Le Relais Saint-Jacques is a boutique hotel of unrivalled character, perfectly situated for your Parisian stay only a few steps away from the renowned Luxembourg Gardens. 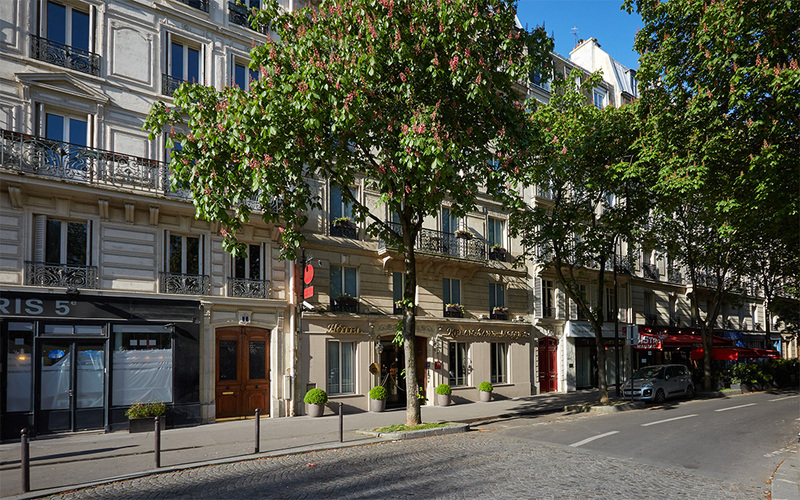 Sheltered from St Germain’s daily bustle, the hotel offers a breathtaking view over the Panthéon located a short stroll away. 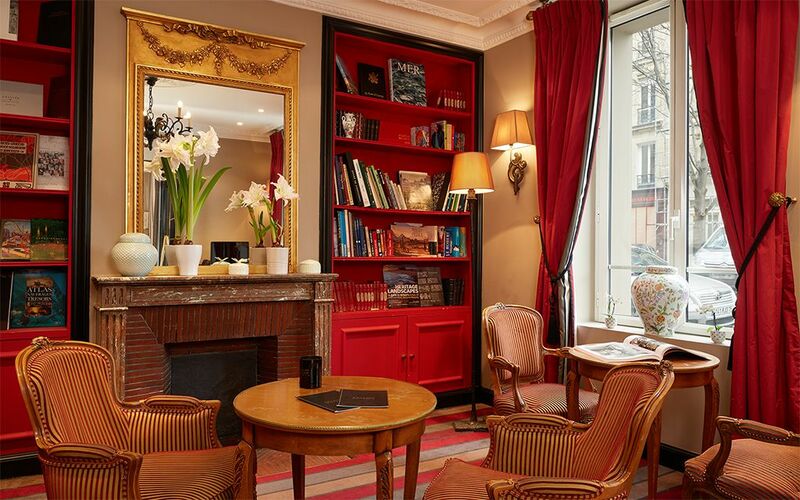 Experience the charm of the Left Bank during your stay at Le Relais Saint-Jacques; located in the heart of the Latin Quarter, there is ample opportunity to savour the quaint little shops that typify this authentic and historic part of Paris. 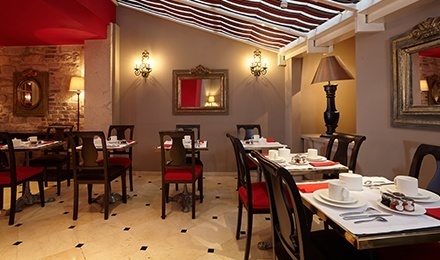 You will find a refined and intimate setting at Le Relais Saint-Jacques. The impressive 1870 building by Hausmann houses 22 uniquely designed bedrooms. Custom-made furniture from Les Histoires d’Alice & Cie harmonises perfectly with our Manuel Canovas and Pierre Frey wallpaper fabrics, and the Toiles de Jouy from Toiles de Mayenne. Our rooms are also fully equipped with the latest conveniences, making them a place where tradition and modernity are impeccably combined. 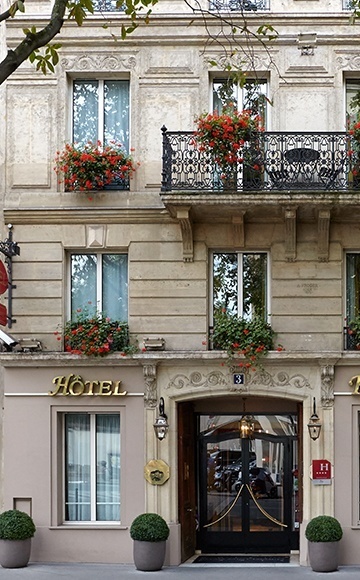 Le Relais Saint-Jacques invites you to discover its inimitable brand of customer service – comfort, style, elegance and la belle ville de Paris at your doorstep. Begin your day pleasurably by savouring our delicious breakfast buffet served in our restaurant or in your room at your convenience. Enjoy a range of hot drinks, fruit juices, French pastries and breads, fruit salad, cheese boards and cold meat platters, yoghurts, cereals, and a hot English breakfast buffet. 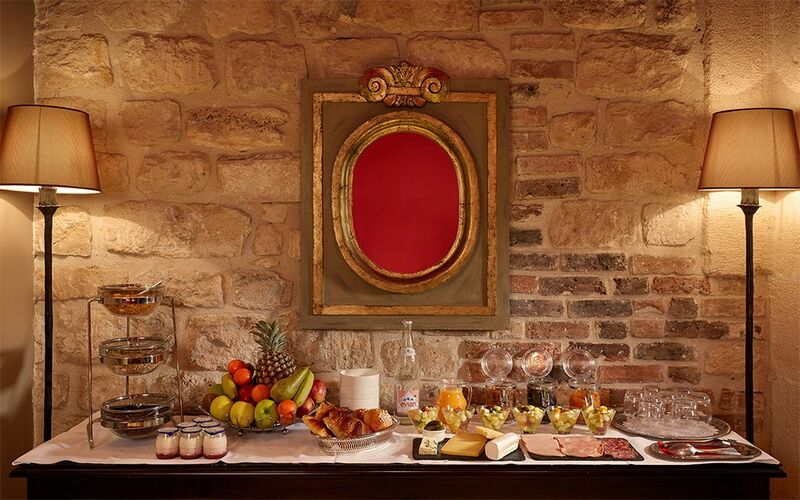 If time is short, take advantage of our express breakfast menu of one hot drink, one fruit juice and two French pastries. Breakfast is served from 07:00-11:00. - Rainer Maria Rilke, the famous Austrian author, was a resident at the beginning of the 20th Century. At that time, the hotel was a family-run boarding house. It was here that he wrote Cher Maître – Lettres à Auguste Rodin. Rilke was a great admirer of the renowned sculptor and eventually became his secretary. 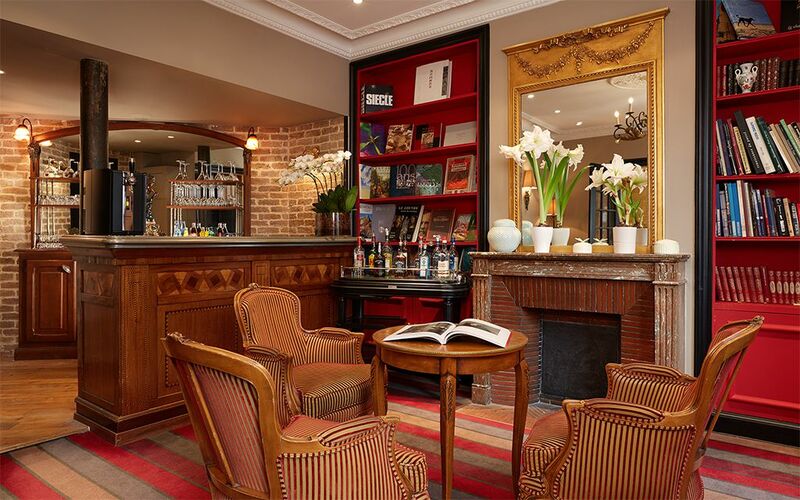 - The hotel is situated on the path once used by pilgrims on their journey to St Jacques de Compostela.